Ohio Northern University junior All-American and Delaware Hayes graduate Emily Richards advanced through the first round of the 800-meter run during opening-night action at the USA Track & Field Outdoor Championships Thursday in Sacramento, Calif.
SACRAMENTO, Calif. — Ohio Northern junior All-American Emily Richards, a Delaware Hayes graduate, advanced through the first round and into the semifinals of the women’s 800-meter run at the 2017 United States Track & Field Outdoor Championships at a blistering hot Hornet Stadium on Thursday afternoon on the campus of California State-Sacramento. Richards finished third in her heat in 2:03.61 and was 14th overall. The top three finishers in each of the four 8-women heats and the next four best times among all 31 runners advanced to the semifinals on Friday evening at 8:28 pm (11:28 p.m. EDT). Late-afternoon temperatures of 108 degrees at the start of the race slowed down the times some. Richards entered the race with the ninth-fastest time in the country in the race and owns the second fastest time among collegiate athletes in the event. She also ranks 28th in the world in the women’s 800-meter run this year. She is only one of three collegiate runners to advance into the semifinals, joining 2017 NCAA Division I champion Raevyn Rogers of Oregon and NCAA Division I All-American Hanna Green of Virginia Tech. 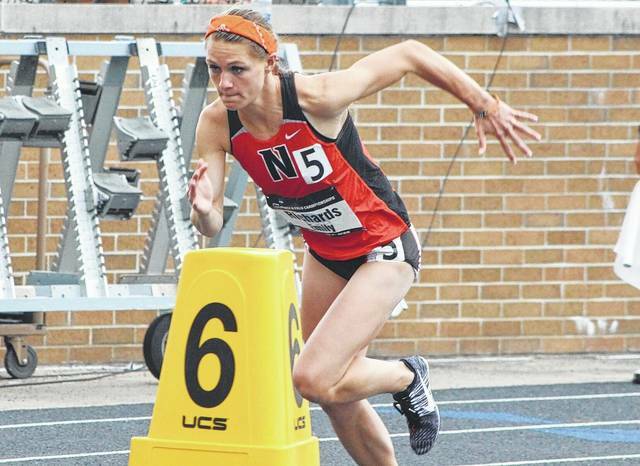 Richards is a 5-time NCAA Division III Champion, winning the 800 three times and 1,500 twice. This season, she swept the 800 and 1,500 titles both Indoors and Outdoors after winning the 800 crown Outdoors in 2016. The finals are slated for Sunday at 5:06 p.m. (8:06 EDT). Tim Glon is the ONU Sports Information Director.